Following on from the post last week, I wanted to share with you all the new and fun trends that are Arriving in stores for Autumn/Winter. If you missed the post on the Pantone Colour forecast click here to read. I am really liking all the new trends forecast for the new season, I normally desire a couple, but this year it’s so much more. It’s feminine and will slip into most of what I already have in my wardrobe, and I hope you see something here to add to yours. Let me show you how to get that Lux look without breaking the bank. The Pleated skirt is everywhere in all colours and different lengths. The picture doesn’t do this Blush Pink pleated midi skirt justice. I am really liking this new style and length of jeans. These will look great with heels or flats. Even over your knee length boots. I like the button detail on the pocket of these one’s from Marks and Spencer here but I would have to find a petite length for me or the will be at my ankles! There is so much velvet out there at the moment. Even boots and shoes! I’m playing it safe here with this jacket. I really like the idea that this could be used for evening or maybe daytime with jeans. Or how about this glam dress? I can’t wait for this to be available. I’ve seen this velvet pleated dress in nearly every magazine. A guaranteed sell out I reckon. From Oasis There is even a waiting list for this dress. This is a trend that I’m really embracing. I love this Camel coloured pair from JD Williams I am trying to build my wardrobe with this colour, and as I have said previously I am trying to steer away from Black as much as possible. Bring on the colour!  Knitted or cotton or silk, ruffles are everywhere! I think this jumper will go very well with the Culottes above. I think you need to wear this trend wisely at my age. Hence why I have chosen a knitted version of this trend. I think a blouse would make me look like mrs Slocumbe from are you being served. (Anyone remember that?) A great price too this is only £25 from New Look and these would look great with the Culottes above. How beautiful is this Laura Ashley floaty tie neck dress ? This is a great example of the Bodacious trend colour featured here in my trend colours post. I hope I get to show you how I will wear these trends as winter progresses. Which will be your favourite? please do tell in the comments below. I will be leaving you with a fashion show from Top shop to watch. Just click on the link below and it should take you there. Also, I am adding some other on-trend items that might take your fancy. Note- This post contains affiliate links. This does pay me a small sum of money which enables me to promote my website. I am looking forward to seeing you in some of these items, they are so pretty and I love the textures. In the products you showed at the end of the post I love the slip on shoes by Office, the Mint Velvet Top and the Jacket by Very! Really great fashion pieces that will mix and match with so many items in our wardrobes. How fun! 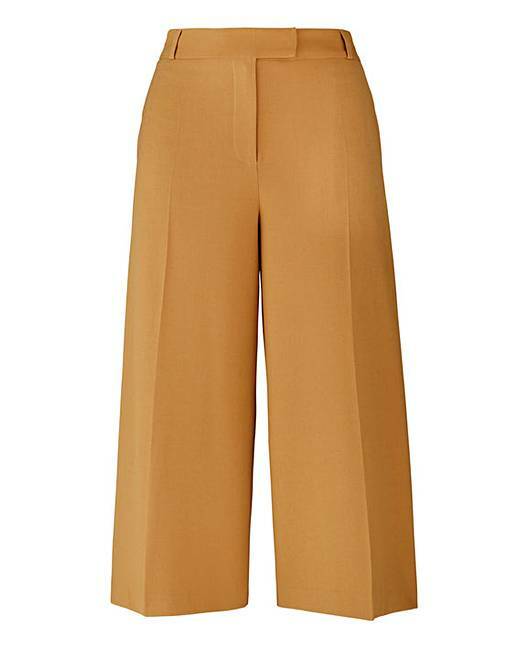 I love the camel culottes and the red ruffle blouse…it would look so glam with jeans and heels! The ruffles & bow ties are very romantic. I wore a lot of them in the 80's & my husband loved them. Don't know how I would wear them now. And I'm with you – trying to get away from so much black! I think it's fun to imagine all the trends you've shown!! I think I'm going to have to invest in some velvet, for sure—I don't have any right now! Yes to the fall pleated skirts! Just gorgeous! I like all the trends!!! Haha, those trousers are very nice but I know they don t suit me but I am in love with pleated skirts! Thank you for your picks. I did buy a long, sleeveless vest from M&S and a shirtdress in Fall colours from Joe Fresh and they fit right in with my wardrobe. Thank again. Loving all your picks Laurie, not sure I would wear flared crop jeans as being tall I don't think they would look right on me, but I would love to try on everything else 🙂 Thanks for linking up.. I really like the fact that this year's trends are so practical. Most of the items like pleated skirts and culottes have already been in my closet.